The glistening turquoise water is amplified by the stunning white powder sand beach which is the ever-changing and alluring backdrop at The Inn at Crystal Beach. It is set in a prime location, south of US Highway 98 and along one of the most private sections of beach in the area. People are attracted to the beach at Destin for its beauty and rejuvenation, the condos here showcase the best that Destin has to offer. Situated directly across from The Inn at Crystal Beach is the Destin Commons, Destin's premier hub for shopping, restaurants, and entertainment. 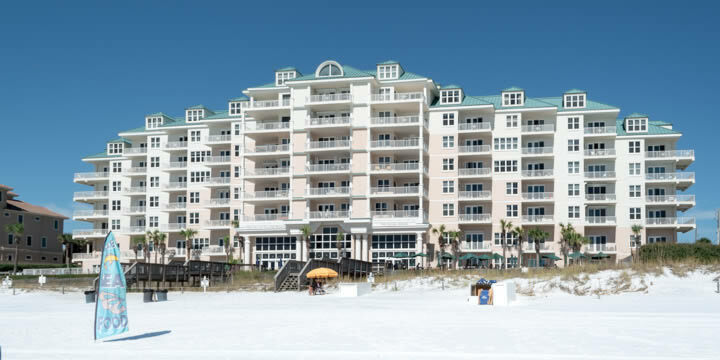 Because of its location in the heart of Destin, The Inn at Crystal Beach is footsteps away from any adventure you seek. If you desire to own a condominium with countless amenities and jaw-dropping views, look no further. The Inn at Crystal Beach has various floor plans ranging anywhere from a two-bedroom/two-bathroom (1,221 sq. ft.) all the way up to a seven-bedroom/seven-bathroom (4,730 sq. ft.) penthouse. Regardless of the size, each residence comes with extremely generous square-footage of living space and is an excellent option for those needing extra space to entertain friends and family. To purchase a condo at The Inn at Crystal Beach, you will pay from $600,000 to $1,200,000. However, because of its spacious floor plans and stunning views, these units are also purchased as investments since they rent easily as vacation rentals. With all the amenities provided at The Inn at Crystal Beach, you would never want to leave your home. The Inn at Crystal Beach offers state of the art amenities and 24-hour front desk service, so your condo makes you feel as if you are at a vacation resort year-round. For the fitness enthusiasts, there is a top of the line fitness center overlooking the beautiful emerald green waters of the Gulf of Mexico-making it that much easier to run the extra mile. For the businessman or woman, there is an onsite business center and meeting rooms, making work seem a little less like work. Once the day is over, you can relax in their Gulf-front pool and bubbling hot tub with a cocktail in hand from the onsite restaurant, 790 on the Gulf. The restaurant features a casual-fine dining atmosphere boasting indoor and outdoor seating with a full menu and cocktail bar. However, if you want to be the cook, there is also a sundeck with grills perfect for gatherings with friends or even a dinner for two. The Inn at Crystal Beach also hosts beautiful weddings year-round, making it not only a positive environment to be around, but another reason why these units stay consistently rented. 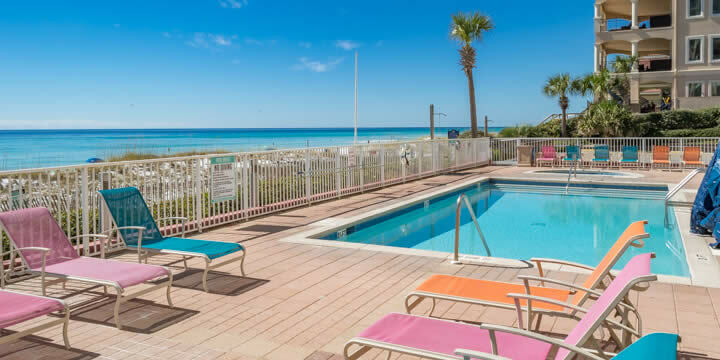 If you would like more information about owning a condo at The Inn at Crystal Beach, please call Emerald Coast Realty where an experienced realtor is ready to assist you.